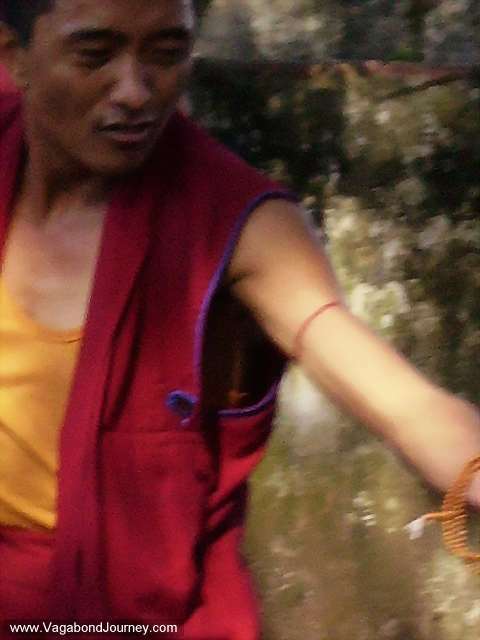 These are photographs that I took during a visit to the Bylakuppe Tibetan refugee camp in southern India. They are of Tibetan Buddhist monks in debate sessions, nuns debating Buddhism, the children of Bylakuppe, and Tibetan tanka painters. 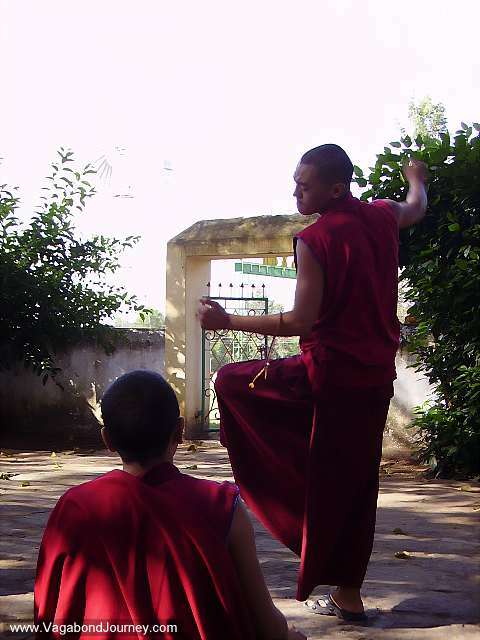 During my stay here I was told that foreigners are welcomed to join the monastery and become monks. I seriously thought about staying behind and living the monastic life. 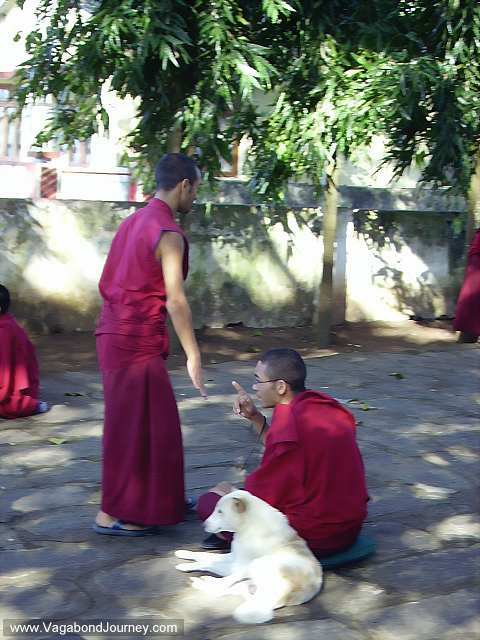 Tibetan Buddhist monks discussing the finer points of Buddha's teachings during their morning debate session in the back yard of a monastery in the Bylakuppe Tibetan refugee camp in southern India. 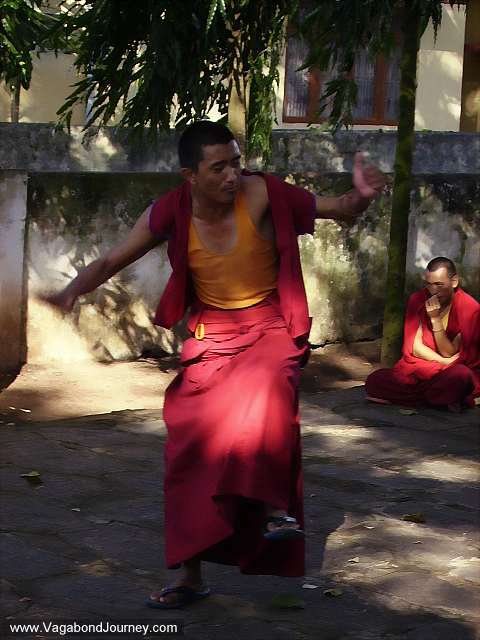 A big monk at a monastery in Bylakuppe. The fervor of a Tibetan Buddhist debate session. Tibetan Buddhist monks laughing and enjoying their debates. Monks meditating and joking with each other. They seem like a bunch of happy kids. 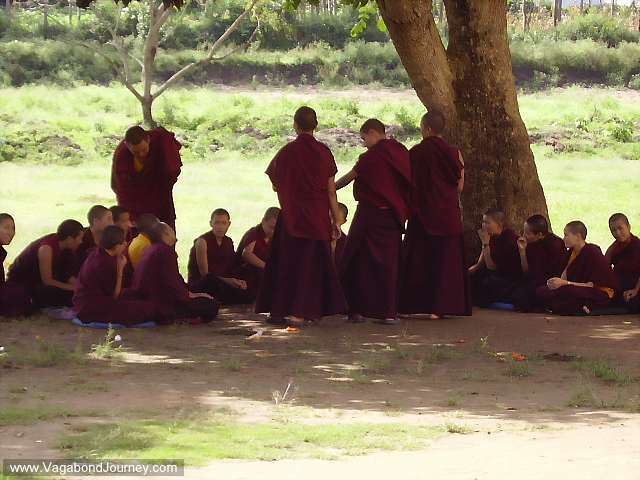 The grand excitement of a Buddhist debate session at monastery in the refugee camp in Bylakuppe. Female Tibetan Buddhist nuns in a debate session. Their debates seem to be a little more lower key than that of the males. It was interesting to observe the difference between the sexes. The children of the Bylakuppe refugee camp in India. 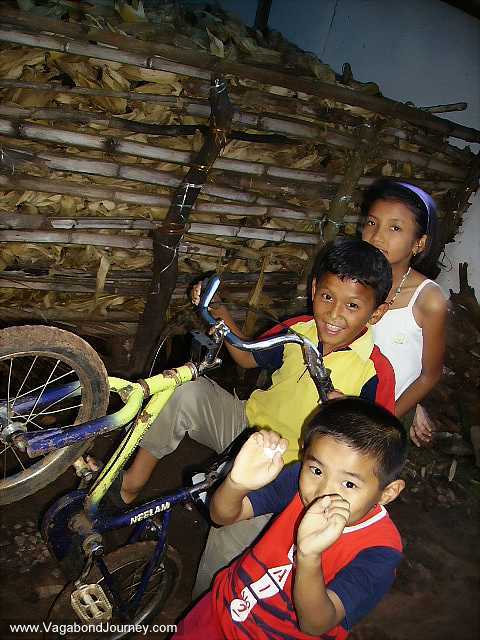 They also seem like happy kids - playing and riding bicycles while their families are growing organic crops and composing. NGOs and international aid organizations have a big presences here. 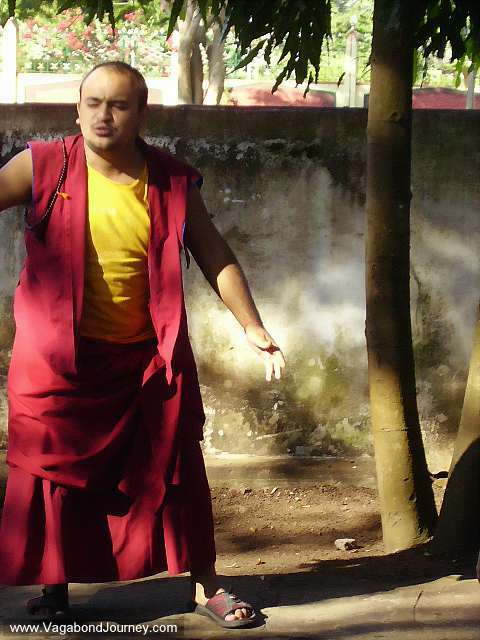 A monk getting ready to make a big point on the teachings of Buddha. 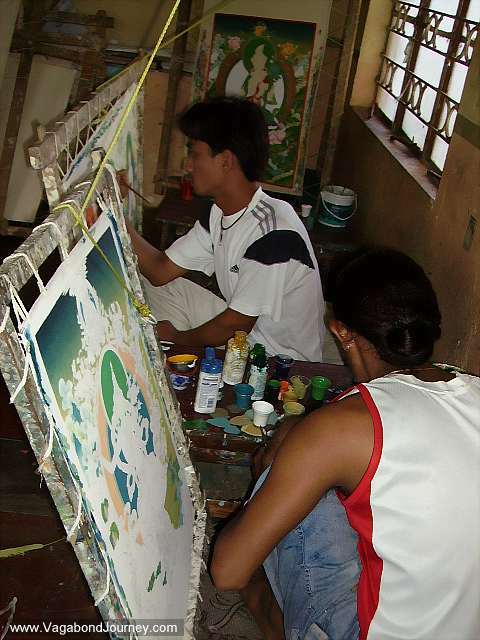 Tibetan tanka painters constructing images of Buddhist Bodhisattvas.